Under intense criticism for his embrace of white nationalism, Congressman Steve King (R-IA) is strapped for cash. His last campaign finance report showed he had just $176,311 on hand, a figure dwarfed by his Democratic opponent, J.D. Scholten. While Scholten, who has raised over $1.6 million in his campaign, has been airing TV ads for weeks, King has not been able to afford a single commercial. A recent poll showed King leading Scholten by just one point in the bright red district which gave Donald Trump a 27-point margin. But there is a hidden flow of corporate money that is helping King stay afloat. These corporations aren't giving money to King directly — but their cash is still financing his campaign. On October 29, the Making America Prosperous PAC, the leadership PAC of Congressman Kevin Brady (R-TX), gave King an infusion of $5,000, the maximum allowed under the law. The corporations who donated to the Making America Prosperous PAC may not have intended to support Steve King. But they entrusted their money to Brady, and that's exactly how he's spending it. Three corporations — Intel, Land 'O Lakes and Purina — announced this week they were ending their direct financial support of King. For other recent contributors to Steve King, check out this report from Sludge. 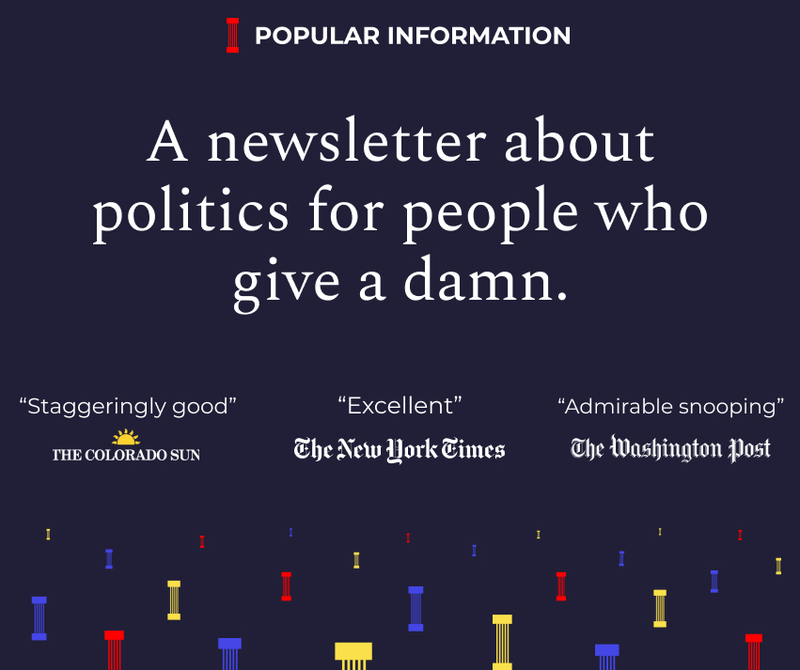 This is a special report from Popular Information, a political newsletter by Judd Legum. Popular Information has no advertisers and is supported exclusively by readers. Subscriptions cost $6 a month or $50 for an entire year. Paid subscribers receive four newsletters per week. If you aren’t quite ready to take the plunge, check out the archive or sign up for the free weekly edition at popular.info.